NICOLS 1100 for sale in France. 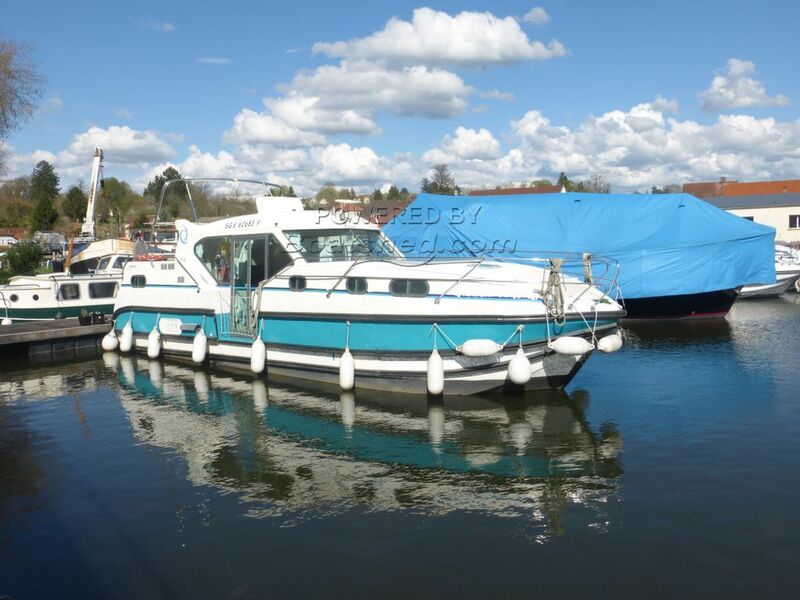 Boatshed bourgogne is pleased to offer this NICOLS 1100 River cruiser for sale in North of Burgundy. Bought from the NICOLS fleet, VAT proof is available! Well looked after during its 18 years of hire, this comfortable cruiser kept its original features. Only 2 of the 3 cabins are being used, and the third is currently used as a storage room. This boat is ideal for a family, 3 double cabins, 3 heads and 3 showers. A great foredeck with its collapsable table, a fly with outside helm and enough space for sunbathing and an easy side access to the quay by a sliding door next to the inside helm. Nicols boats are easy to maintain with easy access for people with mobility difficulties. 3 different accesses on this particular cruiser. Mooring is transferrable without problem, and is less than a 1000 euros per year, water included, facilities on site, in a quaint marina on the Little Saone river. Ideal for cruising the canals and rivers. For more information or organise a visit, please contact, Magali your local broker of Boatshed Bourgogne. This Nicols Grand Confort 1100 Ex Hire Liveaboard Cruiser has been personally photographed and viewed by agent broker of Boatshed Bourgogne. Click here for contact details.